I have nothing but empathy and solidarity with the Black Lives Matter movement. The overreach of police is an enormous problem that has me genuinely fearful. I don't believe this is a new problem. Just one that can finally be documented. So the time has come to seriously address this issue. And I know I am saying this as the little white girl from White Bread Salt Lake City. But, like many people I am sure, I am maintaining two parallel thought tracks in my head. This police aggression has to be walked back. But this violence against our First Responders is obscene. And we should really be talking about guns. But right now, I want to talk about cops. I've had a long relationship with cops and First Responders. When I was 16, I was working as a camp counselor at the JCC. One day, I took my group of six-year-olds on a field trip up the canyon for a picnic at one of our beautiful ski resorts. We were having a lovely afternoon, until about 2:00 p.m., when we observed storm clouds quickly filling the sky. Kids were ushered into the van, heads were counted, and hands were on noses as we closed the van doors. The skies opened up as we were pulling out of the resort. Opened up with a vengeance. We drove slowly, winding down the canyon road with the windshield wipers frantically batting away the quarter-sized raindrops. Until we had to stop because the road had disappeared under a river of mud and rocks. A mudslide blocked our way, covering the only road out of the canyon. So we turned the van around to head back to the ski resort, knowing we would be safe hunkered down in the summer-emptied lodge. Except that, only a couple miles from the lodge, we found the road once again covered with a river of mud. Once again, blocking our way. Four counselors. Only one that could legally drink. None that could rent a car. Twenty five-year-olds. No snacks. And, by the way, no cell phones. It was 1988. Anyway, we found a little roadside coffee hut that catered to skiers needing breakfast on the way up the canyon and hot chocolate on the way down. It had maybe six tables sitting in a room not quite as big as my current living room. But they let us hang out there. They fed us grilled cheese sandwiches and offered us their phone to call parents to let them know we were stuck, but OK. One of those parents that I called was my own. We were stranded there for hours. But eventually, we saw a police car pulling into the small parking lot. And in walked a man in uniform. And the first thing he said was, "Is one of you Elys Bank?" 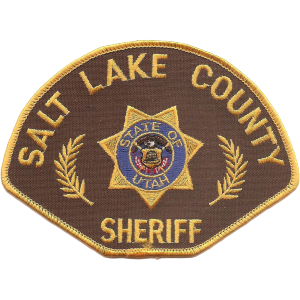 My dad had called his friend, Salt Lake County Sheriff Chief Deputy Mike Wilkinson, to rescue his daughter. And that was what he had done. 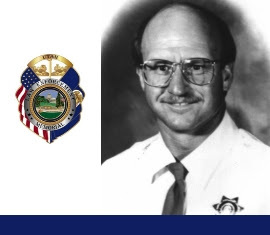 My next encounter with Chief Wilkinson was when I got my internship with the Sheriff's Office during my last semester of college. I wasn't working directly with him, but I would see him daily as I went to the Administration offices. I was interning in the Public Relations office with some amazing officers, who took me shooting and trusted me to handle national press inquiries. Who let me ride along for SWAT trainings and asked me to write press releases. They also asked me to put together the program for the funeral of Deputy Mike Welcker, who was shot and killed while trying to arrest a fugitive that had barricaded himself in his apartment. The assailant shot through the door. The bullet shot at Deputy Welcker found a tiny vulnerability at the top of his Kevlar vest, directly under his armpit. It hit his heart. He died almost instantly. I had never been around such sincere and profound sadness as the time I spent with the Sheriff's officers the week of Deputy Welcker's death. I'm not sure I ever have since. It still greatly impacts my feelings on police officers. I've dated a firefighter. I've dated a police officer. Two of them, actually. I've a good friend that was saved on 9-11 when he was pulled to safety by a police officer whose name he never learned. 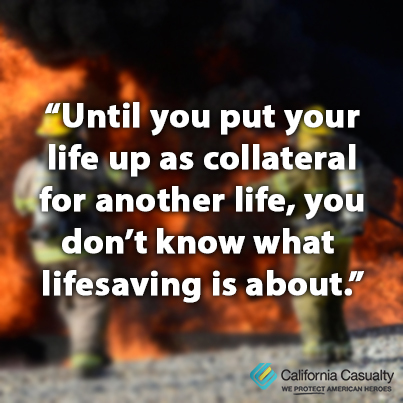 I owe much to First Responders. It's funny how life can come full circle. My new job is as the Instructional Designer for The International Academy of Emergency Dispatchers. I am developing training to support our First Responders. And every day, I get reminders of how important this job is. Our world is very complicated. And becoming more so every day. What do we do from here? I have no idea. 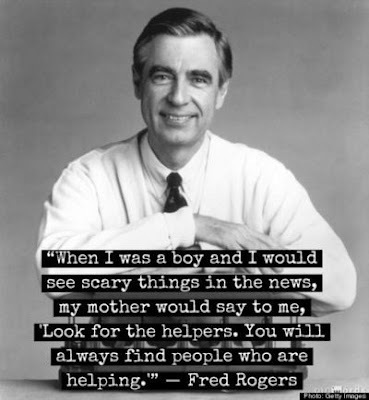 I do know, for a fact, that most First Responders are amazing people. People that risk their lives for us on a daily basis. Interesting, I agree it can be a problem, and its one that should always be addressed. It is way down the list of where the black community needs to focus the brunt of its efforts however. Have you seen what's going on in places like Chicago? 30-40 black people shot every weekend by other black folks. Here in Baltimore last night, 6 people shot at a memorial service. Are they really more afraid of the police? And that is a perfectly valid point. I think it all fuels the sense of... apprehension? fear? mistrust?